Our top-of-the line Gazelle Supreme delivers the ultimate low-impact workout offering 10 different exercises within one workout. 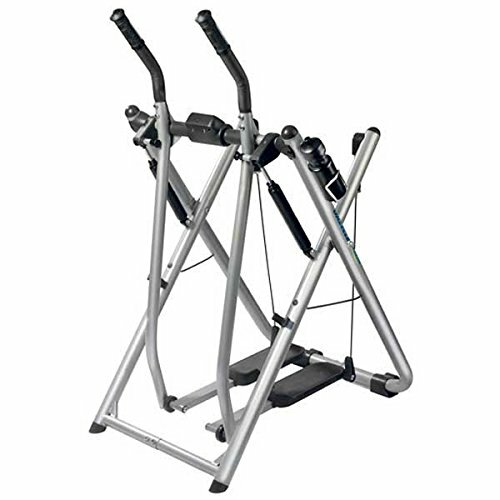 The Gazelle Supreme provides both aerobic and resistance training, giving you all the benefits of stretching, walking, running, cross-country skiing, aerobic dancing and resistance training without jarring impacts or damaging movements to your body. The versatility of the Gazelle Supreme appeals to both the beginner and the advanced fitness enthusiast. Includes 3 Workout DVDs - 1) Total Body Workout 2) Tony Little's Quick Shape Workout 3) Tony Little's Ultimate Body & Mind Workout; Patented dual pivot system - allowing for a greater range of motion because your legs move independently; Soft Glide technology - this innovative technology reduces the impact on your joints; Power Pistons - hydraulic resistance delivering a more challenging workout; Grip pulse and workout computer - tracks your calories burned, distance, time, speed and pulse rate; extra-wide, non-skid foot platforms; a foldable footprint for easy storage; a maximum weight capacity of 300 pounds; a Nutrition Guide, 22 oz. water bottle + holder.